Hello, lovelies~ Have you heard that Yves Saint Laurent has a new skincare line? For those who haven't heard, they call it Forever Youth Liberator. Imagine your face being 'released' from wrinkles and fine lines, hence having a smooth and younger looking face. 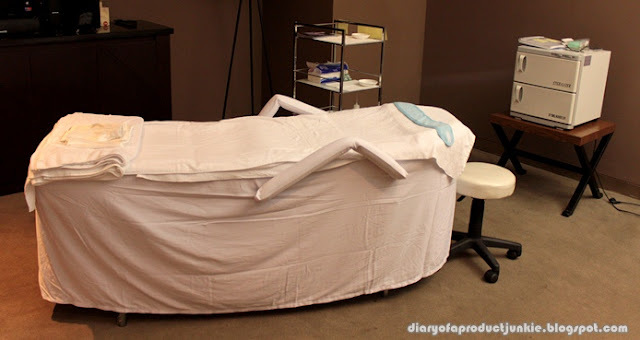 I was given the opportunity to attend YSL's Skincare with Forever Youth Liberator event at Seibu, Grand Indonesia last Saturday, 9th June 2012. The event were centered on their newest skincare line, which is the Forever Youth Liberator. It consists of a facial foam, lotion, serum, eye cream and cream as seen on the picture above. 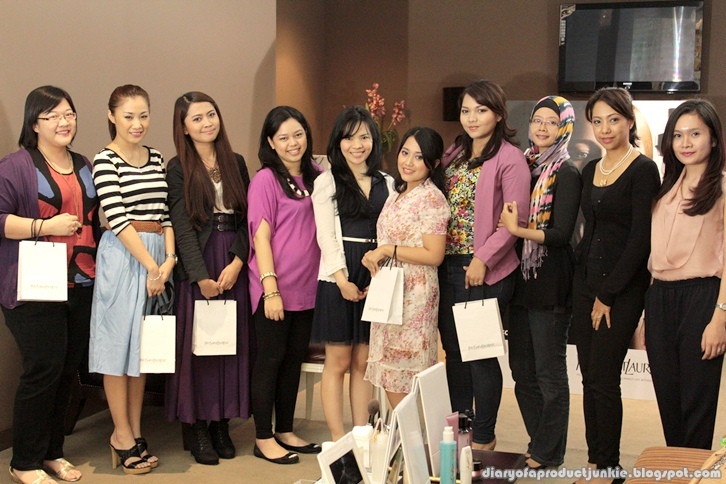 The event was to give us, beauty bloggers, the experience of using their skincare line from start to finish. There were bowls of water with a yellow sponge to rinse off our faces after cleansing it with the face wash. We were given a mirror and a bib, to prevent our clothes from getting dirty, just in case. Before the skincare session, YSL introduced the skincare line and showed use a video on how to properly use all of the products, along with facial massages to lift and make the face look younger. 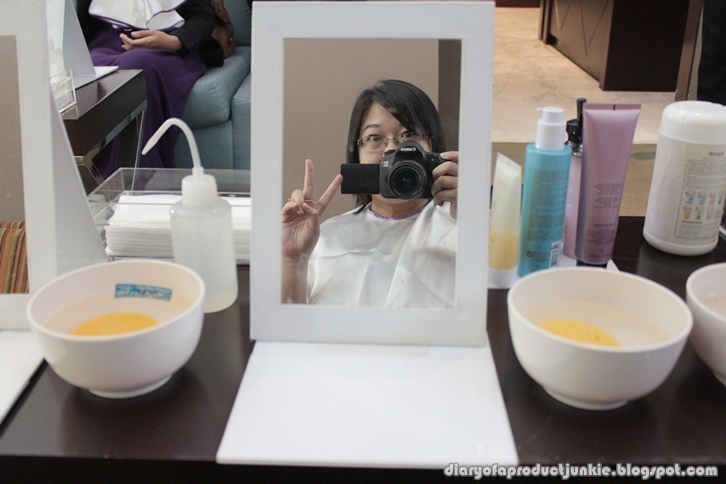 A while later after the video ended, the skincare session with Forever Youth Liberator began. 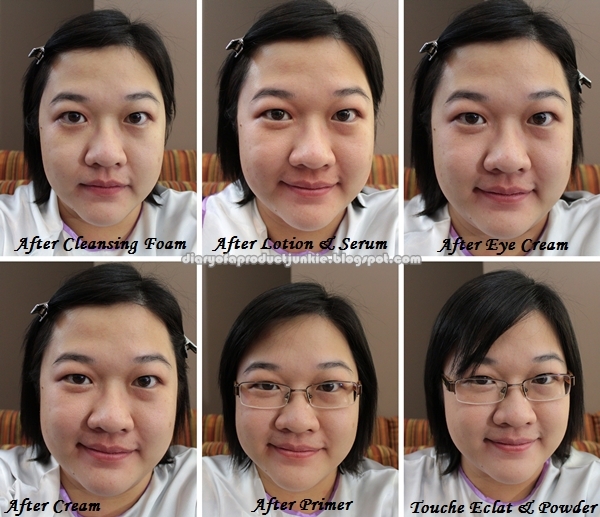 It started with the cleansing foam all through to makeup just as seen on the picture above with the captions. Right after cleansing my face, I noticed it became much brighter. As seen on the picture, my overall complexion looks brighter and smoother. 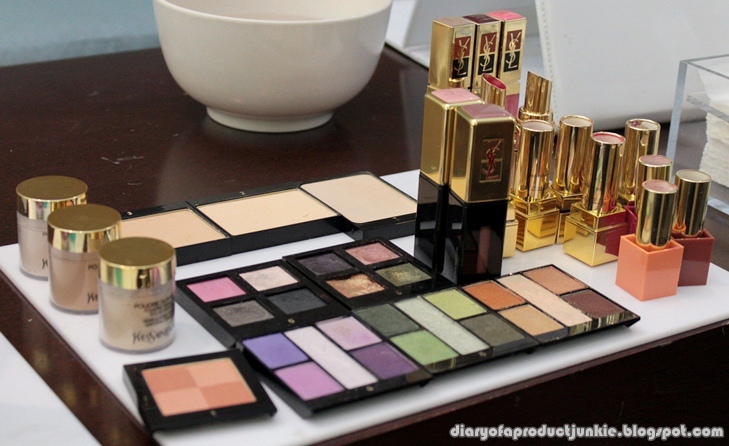 YSL provided makeup for us to use after pampering ourselves with Forever Youth Liberator. 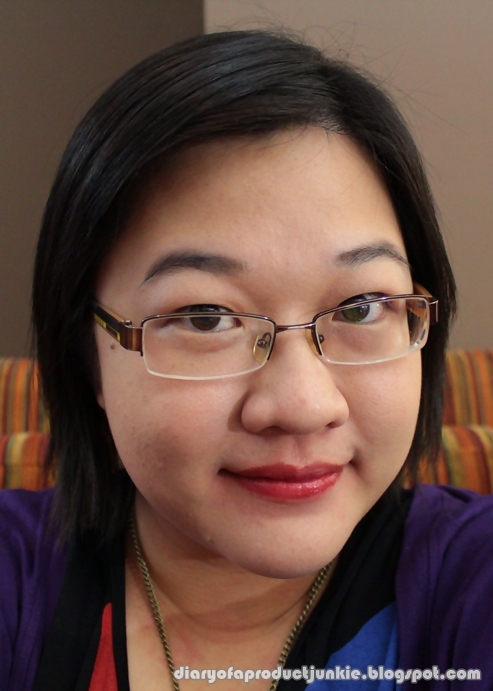 I decided to go with a light makeup because I wanted to preserve the radiance I get from the serum. Applying makeup after the whole series of Forever Youth Liberator is much easier, I feel. The makeup adheres easily without having to work hard to blend onto the face. 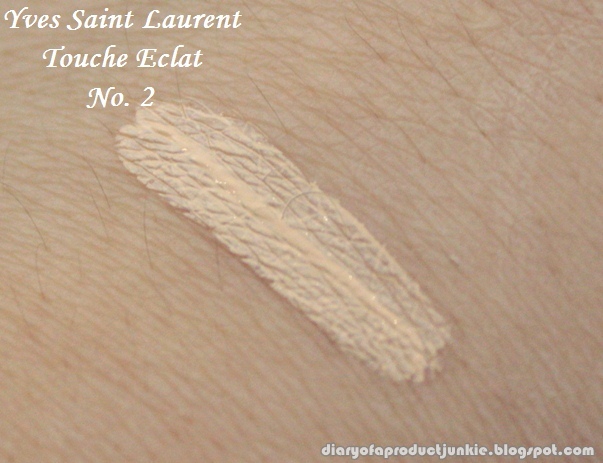 I used YSL Touche Eclat in number 2 and a light dusting of powder. Right after we're done with makeup, the YSL representative informed us about the mini facial from YSL that is available in Grand Indonesia. 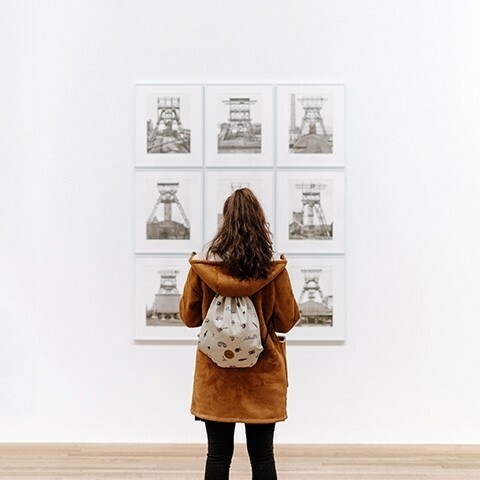 It may be a mini facial, but the effect of brighter and smoother skin will still be noticeable. You will have to make an appointment with at the YSL counter if you want this mini facial because it isn't available everyday. Before the session ended, YSL gave each of us samples of the Forever Youth Liberator to try at home. I can't wait to report back to you guys about this new skincare line from YSL. Thank you for the invitation, YSL. I had a great time experiencing the whole series of Forever Youth Liberator.